Learning to play the guitar from beginner guitar books is still huge in 2019, despite the availability of the more modern form of learning guitar, online video tutorials. My vote for best cover! The "learn guitar books" (both acoustic and electric) are here to stay, since thousands of guitar lesson books are being sold every day. For this reason, I thought I would buy, read, review and compare a couple of these books and see how they perform. The ones I ordered were not at random, but chosen from the top seller lists of online bookstores. I am a guitar teacher of 15 years and a tech junkie, and I prefer to steer people towards online video lessons. I believe that with the multimedia technologies of the 21st century, video guitar lessons are the most efficient way of teaching yourself guitar. I'll add some recommendations for video lessons after the book reviews, in case you want to see that side of learning guitar as well. Now the moment you've been waiting for, here are my reviews of the most popular guitar learning books. What should a be covered by a guitar book for beginners? This paperback is the best selling learn guitar book on Amazon.com, selling for just below $6 at the moment. It does not include a CD or any form of multimedia. It is a very short book of only 47 pages, and it covers the very basics of what you would need to learn to start playing guitar. Sort of like a hit-and-run guitar primer. The book has plenty of diagrams, which will be helpful to beginners. I won't go into detail on the exact contents of the book, you can see that in table of contents in the picture gallery below. The reviews by other readers are generally positive, with 78% of readers giving it 4 or 5 stars. With this new edition, they scrapped the DVD from the previous version, and introduced online video and audio clips, as a supplement to the book's teachings. They didn't take it overboard though, with just 85 videos and 95 audio tracks, but at least it's a step in the right direction. You can't learn music by just reading about it, you need audible tools. Having been just released, this new edition doesn't have any reviews yet at the time of this writing. The previous 3rd edition had 79% 4 and 5 star reviews from customers. All in all, if you want to stick with learning from a guitar book, this would be my recommendation. This is probably the most famous of all of the guitar learning books, and comes with a price tag of around $13 right now. It also has an overwhelming amount of sheet music in it. These music sheets allow you to practice what is being taught in the given chapter, which is nice, but going through the books, I felt there was a lot left unexplained. This was probably a result of them trying to simplify things as much as possible, but this actually leaves holes in the padawan guitarist's knowledge. This book has really good reviews, with a whopping 90% of them 4 or 5 stars. Wow! This book was first published in the 1990s, and used to be one of the most popular learn guitar books. It is selling for around $10 at the moment. It does not include a CD or any form of multimedia, which is a major turnoff. It also has way too much text, and not enough graphics. Because of these, I do not recommend this book at all. It focuses on acoustic guitar, so those of you looking to learn the electric specifically, will need to keep on looking. There is a lot of info in the book though, it covers pretty much every detail of what a guitar student will be looking for (how to buy a guitar, fundamental guitar techniques, music theory basics). The structure of the lessons are good, it varies between guitar technical stuff and theory as you progress, meaning that you won't get bored of any single topic, and you'll have a chance to try out the theoretical bits one step at a time. It's a shame they never made newer editions of this book with more graphics and supplemental audio-video tools. The written reviews are pretty positive as well, with 85% of readers giving it 4 or 5 stars. ...At the end of reading I knew a little bit about a lot of different guitar techniques, but I certainly didn't feel like I knew everything I needed to play guitar well. Guitar Aerobics was first published in 2007. It is a unique kind of guitar book, as it gives you 1 exercise to carry out for every single day of the year. The exercises start out with basic drills, and progress into harder licks. What kind of exercises can you expect? Each day of the week, you get a different type of exercise to keep things varied and interesting: Monday: Alternate picking, Tuesday: String skipping, Wednesday: String bending, Thursday: Arpeggios, Friday: Sweep picking, Saturday: Legato, Sunday: Rhythm. This book isn't specifically for beginner guitar players, as it isn't a course book. Nevertheless, it makes for a great supplementary book to a beginner's guitar studies. The exercises in Guitar Aerobics start out with beginner drills, and progress to harder and harder licks after a few hundred days 🙂 Yes, a few hundred days. Remember, the book provides 1 exercise a day. It pushed your limits each and every day in baby steps, and after 365 days, you will definitely be a better guitar player than you are today. You have to spend time with each exercise though, you can't just rush through things. You won't be able to play all of the exercises up to speed on day 1, so you should revisit them again and again until you get them perfected. The book urges you to use the metronome and increase your BPM as you can. The reason I like the concept behind this guitar book is that it forces the student to pick up the guitar every single day. The only way to progress at the guitar is to practice regularly, and by its nature, this 1 exercise per day book sets out to do just that. The book has an audio file for each exercise, as well as backing tracks to play along with. These can be accessed through the Hal Leonard publishing company's website. Customer reviews of this book are overwhelmingly positive, with an average 4.2 star rating after hundreds of reviews. If you've been learning to play guitar for a while, you will have undoubtedly heard references to music theory bits that you didn't understand. This is a book meant to fill these holes in your knowledge. The full title is Music Theory for Guitarists: Everything You Ever Wanted to Know But Were Afraid to Ask by the way, it was originally published in 2005. Learning music theory is not important for beginner guitarists, but after reaching an intermediate level, learning about music theory really helps in putting it all together. It covers pretty much everything a guitarist needs to know with respect to music theory. The book starts out with the fretboard, key signatures, intervals, and continues on to teach about scales, chords construction, key centers. Towards the end, it teaches modes and modal harmony, chord substitution and reharmonization as well. What I really liked about the book is that it has quizzes to get you to test your knowledge. Also, there are about 100 audio tracks demonstrating what is being taught, which is very important in learning music. After garnering hundreds of reviews, it scores an average of 4.3 stars, which is impressive from a book about theory. Other books covering the subject don't score so high, since music theory is sometimes presented in a boring tone. This book is not one of the most popular ones on Amazon, but I wanted to include it in this list of the best guitar books because it is one of the better ones out there. This one is sort of like the Guitar for Dummies book. It touches on just about everything guitar related, from basic chords and techniques, all the way to how to purchase an amp. The author wanted to squeeze every bit of info into this book, so some chapters are a bit short. This is a nice book to have on your shelf, in case you need to refer to something quickly. It's not suitable for outright learning guitar from as a sole resource though. Customer reviews of this book are positive, with an average 4 star rating. During my 15+ years teaching private students, I've developed a very specific program that I teach to people who are new to the guitar. I've found through trial and error that this works in familiarizing my students thoroughly with the guitar and keeps them motivated at the same time. So this is the subject matter that should be covered by a book written for beginner guitarists. If a beginner book doesn't cover these subjects, than it will leave gaps in your knowledge, or not offer enough motivation to keep on practicing. If the book has more subjects, that's great, it means that it was written not just for beginners, more advanced guitarists as well. Of course, you will have to read at some points of your guitar studies (ie. : guitar theory, modal studies, etc. ), but that's not beginner stuff anymore. That's why it's nice to have a book as well, to be able to read up on the details of something you're interested in. I recommend the Guitar for Dummies book for this, since it holds a lot of valuable info. 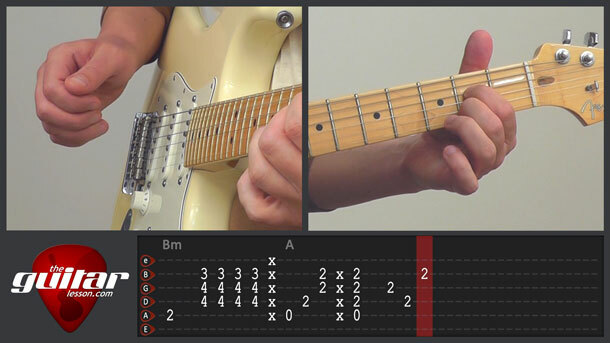 As a complementary book, the Guitar Aerobics book can be very useful in keeping you practicing every day. If you want me to make a video review of these guitar books as well, let me know in the comments section below. Before buying a guitar book, I would wholeheartedly recommend that you look at some video guitar lessons first. It makes things so much easier than learning from books. They are very similar, but I recorded a video comparing the two sites, check it out if you are considering video lessons. For last two years I have been following Alfred’s Adult all in one piano course ( lesson, theory , technique ) and I am very much accustomed to it and I like it most. The book is written by Respected Willard A. Palmer, Morton Manus and Amanda Vick Letcho. Now I’m learning guitar for last two months, so is there any lesson theory technical book for Guitar from the same authors and the same Alfred Publication ? Don’t let this put you off though! Start out with the basics, and work your way up there. Nobody started out by knowing how to play, we were all beginners once. Hi there, actually Jamplay has the tabs to all of their lessons, you’ll find it on every lesson page. Or is that not what you are looking for? So basically the only reason I came back was to thank you for your recommendations, I really think I’m on the right course with these resources. It’s good to hear that you found a guitar book-video combo that works well for you, keep it up, practice every day, and you will soon become a great guitarist. I’m looking for the best book, for teaching yourself how to play more of a blues or bluegrass style. My boyfriend is trying to re-teach himself how to play from when he was a kid. Hey Ashley, the Blues You Can Use series is good for learning blues. If he knows his music theory well, than I would recommend the Hal Leonard Guitar Method book, that will get him playing guitar quickly. Otherwise, the Guitar for Dummies book. Eddie Van Halen was an adept violin player as a youngster before taking up guitar – it can be a good switch! Thanks for the info Nic, I didn’t know that. Hi, thanks for the article! I learned a lot from it. I don’t get one thing though: why do you recommend Hal Leonard Guitar Method for younger students? Thank you in advance! Hi, because it is very simplistic and straight forward in approach, without going into much detail. Younger students typically want to just play as much as possible, as quickly as possible. I have read your page and gotten more information about acoustic guitar. I love music. Your pseudo reviews are just opinions from someone (you) who hasn’t read a single book of what you are reviewing, and hijacking any potential guitar student to your video lessons. With your biased & strong opinions (like books should be banned), you don’t seem to respect other students’ choice for alternative learning. Your opinion is based on your own experience. My opinion is based on 10+ years of guitar teaching, and experience with hundreds of students both live, and online. Ok ladies, stop fighting. You do you, read books or don’t, doesn’t matter. i want to learn guitar……….